The wreck discovered orbiting Alpha Centauri’s dwarf planet EISIN B is confirmed to be the North American Expeditionary Science Vessel Icarus. Presumed lost over fifty years ago, rediscovering the wreck will shed some light on the NAEF’s Time-Vortex technology. Following the Collapse, much of it was lost. It appears that the ship collided with an asteroid approximately the size of a human fist at roughly one-third the speed of light. A good chunk of the forward hull was ripped away by the force of the collision. My tech officer also reports that the ship was outfitted with a type of ablative armor, though most of it seems to have been burned away. Three crew members were recovered from the wreck, all three remarkably well preserved. They all appeared to have died of exposure, though tests will be run once we return to Earth. We simply do not have the facilities aboard the Pershing to examine them here. In the meantime they’ll be put in cryo freeze for the return trip. We also recovered a portable computer terminal. It was found on one of the less preserved bodies and exposure has all but destroyed it. Perhaps something will be recoverable, though the technology is rather ancient. Our IT department will have a field day with it I’m sure. For now the Pershing will be returning to Earth immediately. Once she hears about this, we’ll be made to come straight home anyway. 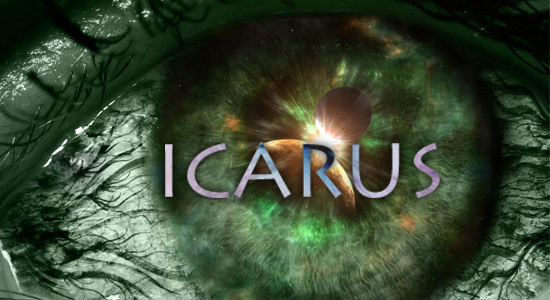 I hope they can discover what made the Icarus operation such a failure. From what I hear, they fell off the grid the moment they went into the Vortex. Poor bastards. Well, at least now their families might get some closure after all these years. Most have forgotten perhaps but if I know Sarah… well she won’t. Fifty years and she finally convinced the Council to send a ship here. I’d love to hear her story some day. Seventy and can still boss around a Confed Council, no wonder she never married. This entry was posted in Icarus, Original Fiction, Science Fiction and tagged Alpha Centauri, blog fiction, Confederation, Earth, Horror, Icarus, Mike Kern, Pershing, Science Fiction, SciFi, space, Thriller, Time-Vortex, William Shriver, zombie, zombies. Bookmark the permalink. Brilliant epilogue! As a reader, I am very satisfied by it. 🙂 You have a fan in me for sure. Thank YOU for reading it! You saw you went through the whole story and I wish I could comment on all of your comments but I’ll simply share my thoughts here. This was new territory for me, taking a SciFi story into the the thriller/horror genre was something I’ve never done. I was worried the ending would be bland or something. Your feedback is wonderful.